This equates to an expected net yearly cash flow of $2,568. 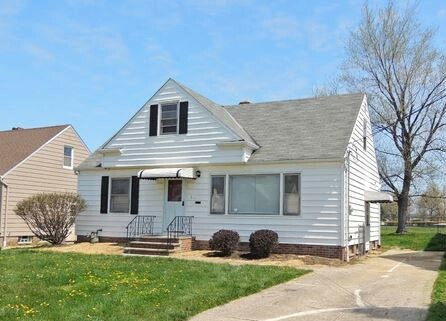 With 25% down on the loan and closing costs added, the total out of pocket cost of this property came in around $25,500. Having those two numbers in hand, we can calculate an expected 10.1% annual cash on cash return (although actual has been higher thus far). Not bad! But again, that is just the expected return on cash flow. Over the course of 30 years, the loan balance of $63,750 is being paid off by someone else (the tenant) at an average pace of $2,125/year, or roughly $177/month (amortization schedules don't work in linear fashion this way for loans, but for the sake of simplicity, let's assume it would). Adding that $2,125/year to the original cash flow, our expected yearly return on investment improves to 18.4%. Even better! Yet another item we have to take into consideration when it comes to real estate is appreciation of the property. Historically, real estate has appreciated around the same rate as inflation (around 3-4%); but being conservative, let's assume this property only grows at 2% per year. For the $85,000 value, that would equate to $1,700 during the first year alone. Adding this to our cash flow and loan pay down, we now have an expected annual return of approximately 25.1% on our original outlay. Are you excited yet? But the story only continues to improve on the above. 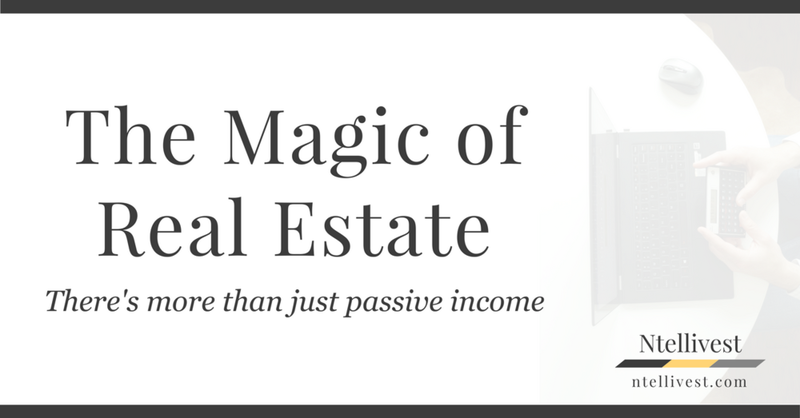 There are tax advantages for owning real estate as well. In addition to getting to write off all expenses associated with managing and maintaining the property, you also get to take depreciation on the value of the structure. In this example, the value of the actual structure or dwelling (not the land) came in at $65,000 on my initial appraisal. Using a 27.5 depreciation schedule, I am able to deduct $2,364/year of income over the first 27 1/2 years. On an expected net income of $2,568/year, only $204 of that would be considered taxable. This keeps income streams high and tax bills low. Who doesn't love that?! Of course, all this being said, there are risks involved with owning real estate that are different than your traditional stock and bond investments. You may land a horrendous tenant (I have) or have an accident happen on your property, in addition to a multitude of other items. So make sure to property educate yourself (through books and resources such as Bigger Pockets) and protect yourself (through insurance and legal entities), and have ample cash reserves on hand for any repairs and maintenance that will come due. It's best to think of real estate as another diversifier in the whole of your net worth. A balanced approach tends to always prove to be the smartest approach. For more information on how my real estate portfolio is performing, please check out the quarterly posts that track the real cash-on-cash numbers.